Mario Quagliariello is the Director of the Economic Analysis and Statistics Department at the European Banking Authority (EBA). The Department is in charge of the analysis of risks and vulnerabilities in the EU banking sector as well as of the stress testing function at the EBA. The Department also holds responsibility for all the statistical tasks carried out by the EBA, including data dissemination. In addition, it centralises the economic analysis activities of the EBA focusing on impact assessments of regulatory and supervisory measures. 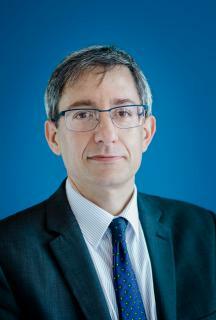 Mario is the Chair of the EBA stress test task force and of the task force on macroprudential matters. Mario previously served as Head of the Risk Analysis Unit at the EBA. Before joining the EBA in 2011, he worked for twelve years as a Senior Economist in the Regulation and Supervisory Policies Department of Banca d’Italia, the Italian Central Bank. Mario has published several articles in Italian and international journals, including the Journal of Banking and Finance, the Journal of Financial Services Research, the Journal of International Financial Markets, Institutions and Money, Applied Economics, Applied Financial Economics, SUERF Studies and Risk. He edited the volume Stress Testing the Banking System: Methodologies and Applications, published by the Cambridge University Press. For Riskbooks, he co-edited the volume Basel III and Beyond: A Guide to banking regulation after the Crisis and edited Europe's New Supervisory Toolkit: Data, Benchmarking and Stress Testing for Banks and their Regulators. Mario holds a bachelor degree in economics with honours from the University “La Sapienza” in Rome and a Ph.D. in economics from the University of York (United Kingdom).